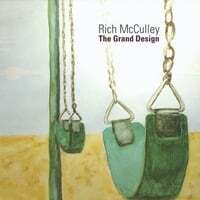 Rich McCulley-The Grand Design. LA-based Roots rockin' power popper Rich McCulley is back with The Grand Design, his sixth solo album, and the man proves he has a knack for topping himself each time out. Ironically it was only a few weeks ago I reviewed a couple of new singles from McCulley's running mate Todd Herfindal, and the leadoff track on this album is "Right Here Now", co-written by Herfindal and the B-side to Herfindal's "Shine Shine" single, giving us two versions of an excellent track. 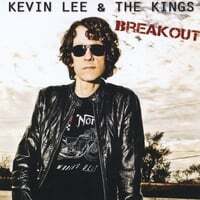 "The Most Beautiful Thing" is another standout (co-written by Will Kimbrough and Herfindal), which could pass for a lost Wilburys track with its Jeff Lynne-style backing vocals and slide guitar, and the title track has an anthemic feel that's insipirational and takes on greater resonance considering the personal losses McCulley suffered prior to his last album, Starting All Over Again. Elsewhere, "Troubles Behind" and "The Gift" are pleasing roots rock, and "She's Like a Tattoo" is a classic country drinking song with pedal steel. There isn't a duff track to be found here, and McCulley has himself a 2013 top 10 contender on his hands. 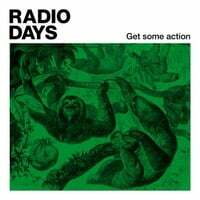 Radio Days-Get Some Action. Italy's Radio Days return with their third album, and Dario Persi & Co. serve up another helping of classic power pop in the vein of the Paul Collins Beat, The Rubinoos and The Knack. Opener "Burning Together" is an infectious power pop tune that seems melodically inspired by Bryan Ferry's "Let's Stick Together", while "Girl Girl Girl" captures the early-mid Beatles sound. The songs keep coming at you in 2-3 minute bursts, and it's easily their best and most consistent release to date. Whether it's the "yeah yeah yeah"s of the title track, the raved-up "I'll Be Your Man" or the swelling chorus of "Goodbye My Love", Radio Days have made the retro/60's power pop album of the year so far. 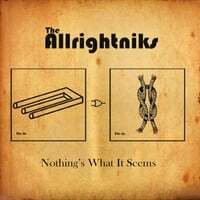 The Allrightniks-Nothing's What it Seems. The Allrightniks are a three-piece band from Virginia with power pop in their blood and a real swell name. Nothing's What it Seems is their second EP after their self-titled 2011 debut, and they have a British Invasion-style sound that should appeal to fans of The Spongetones and The Janglemen. "No Words" opens the EP with the kind of jangle you'd expect from a band of this style, while "Down to Me" has more of a contemporary drive to it, reminiscent of Matthew Sweet's Girlfriend album. Elsewhere, the midtempo "So Glad" has an early-mid Beatles sound and "Nobody Knows But Me" channels The Byrds. When you put this together with the aforementioned debut EP, you'll have a fine album-length collection of power pop worth gracing your music player of choice. 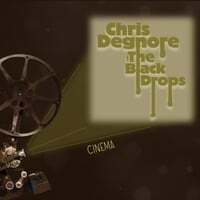 Chris Degnore & The Black Drops-Cinema. Detroit's Chris Degnore has been kicking around the music scene for almost 20 years, playing and recording in Nashville and then spending a few years in the UK. His experience, professionalism and craft shine through on Cinema, his debut with backing band The Black Drops. Degnore & Co. offer up power pop that's gritty and rocking yet tuneful, as evidenced by the Replacements-style leadoff track "Coming Down". "Dame Street" follows in the same vein, while "Speed of Light" offers some clever and penetrating melodic hooks, and "Ghost Inside Your Head" is straight-up power pop of the Cheap Trick variety. "Broken Hearted Man" is another standout and perhaps the album's poppiest track, while "For You" is an effective change-of-pace acoustic ballad. If you don't mind a bit of bluesy rock mixed in with your power pop, Cinema is well worth your while.